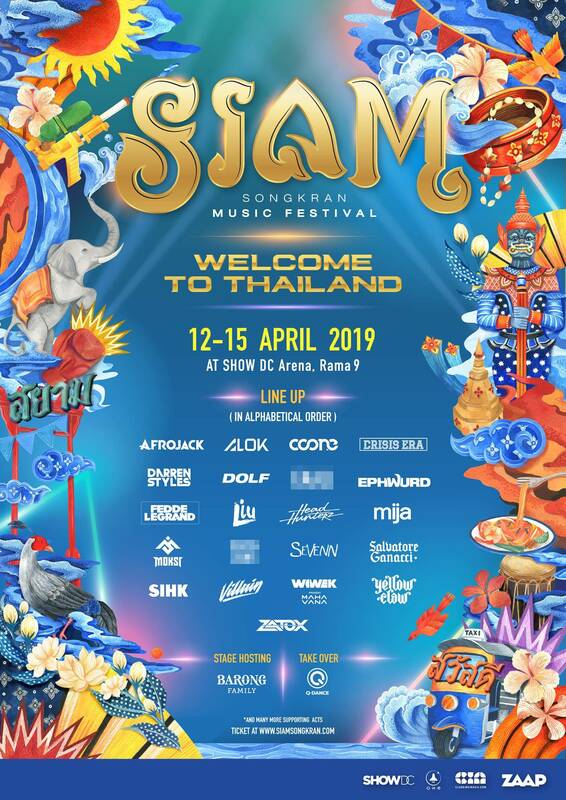 The debut edition of SIAM Songkran Music Festival comes together as a brainchild of Thailand’s premiere festival organizers. The four-day fiesta will be held from the 12th to 15th of April 2019 at SHOW DC in Bangkok. SIAM Songkram aims to provide an all-round, interactive experience for attendees, hence a massive festival site with four respective areas. Dance to your heart’s content across not one, but two state of the art stages with world class production that rivals many. Partake in our many culture-based workshops that ranges from Muay Thai to cooking classes. It is not often that you’ll get the chance to learn how to cook Pad Thai at a rave! Our lineup is guaranteed to be top notch with major names from across the world - the best part being that it caters to music enthusiasts of every genre. From trap, to big room, to hard-style to Brazilian bass, and even the melodic progressive, we’ve got it all. A new place for Thailand in the form of a festival. 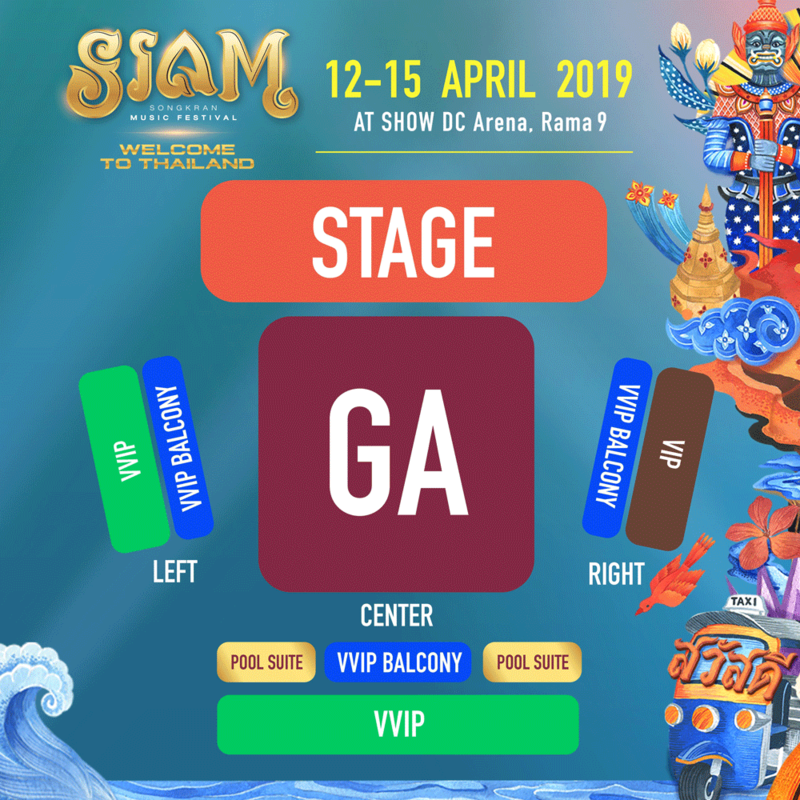 Creating an outstanding blend of Thai and Western culture to identify with the definition behind "SIAM", translates into a mixture of all cultures into one the entertainment will be brought to attendees through music and numerous activities. Everyone will get a feeling of "Proud to be Thai, Proud to be fun" throughtout this upcoming Songkran Festival.